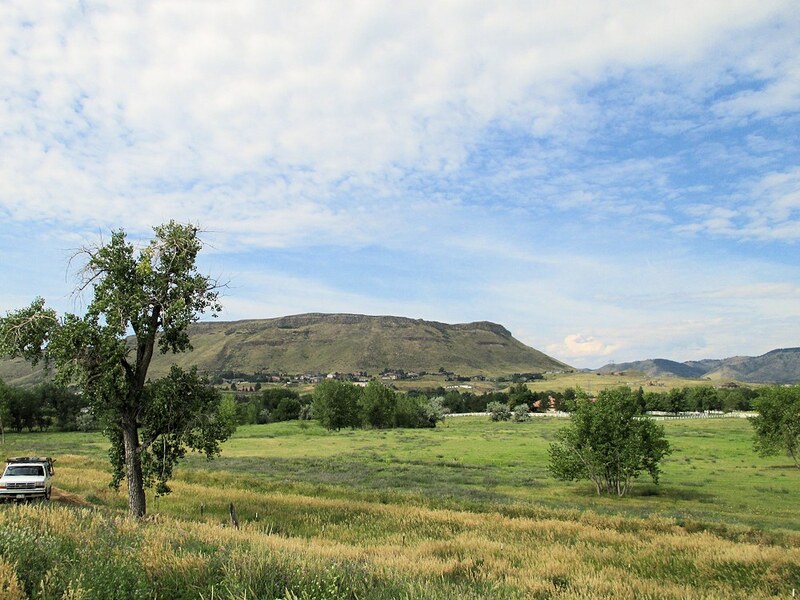 Photo: North Table Mountain to the southwest. Eastern Mojave Vegetation North Table Mountain to the southwest. County Road 284 (W. 58th & 60th Avenue), Jefferson County, Colorado: near Poppy. Checklist Flora of Native and Naturalized Vascular Plants of Golden and Vicinity, Jefferson County, Colorado: formation. Field Notes: 13 Aug 2014.